You don’t have to listen to me to know that Facebook Ads are the hottest thing in paid traffic since Google launched Adwords 15+ years ago. With revenues of nearly $6 BILLION last quarter it is pretty clear that Facebook has found the goldmine and plans on mining the gold for years to come. 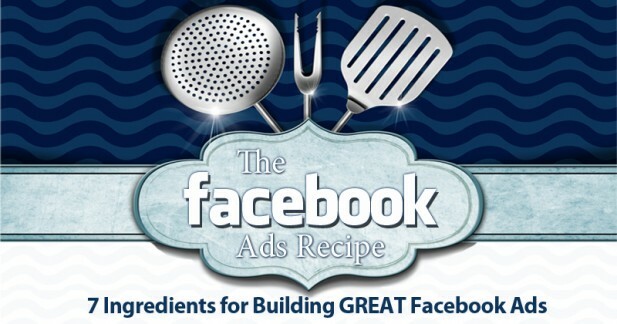 Something else there is no shortage of are stories about entrepreneurs using Facebook Ads to hyper-accelerate growth in their companies and make some serious cash. So, if Facebook Ads are so great and millions of people apparently have no problem creating them, why aren’t your Facebook Ads working? 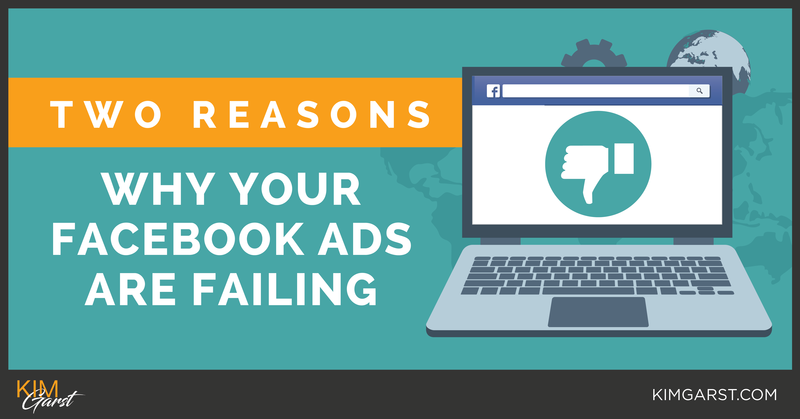 Today I am going to tell you the two reasons why your Facebook Ads are failing. It doesn’t matter how good your graphics are, how clever your copy is or even how awesome your offer is, if you don’t run your ads to the “right audience”, they will fail. That seems pretty cut and dry, right? I mean, if you are in the ice business, you KNOW it’s probably a bad idea to use Facebook Ads to sell ice in Alaska in January. However, getting the audience right is often not that easy. Let me show you what I mean, and then offer you a piece of practical advice that should help you dramatically improve your results. The overall results are pretty good so far, 426 conversions at $1.46 each. However, one individual result in particular is a total FAIL! Can you tell which one that is? The ONLY difference between these 4 ads sets are the audiences I ran them to. Yep, besides that each includes the exact same 5 ads. The cost per conversion for the Boom! Social Facebook Fans audience was nearly 3 times the cost of our email list audience and over twice as costly as the nearest competing audience! In my experience, most Facebook Ad beginners choose this exact audience, their Facebook Fans (or their fans and friends of their fans), to run their ads to exclusively and are shocked when the get disappointing results. So what is the solution? Build multiple audiences to run your ads to and split your budget evenly between the audiences out of the gate. After a day or two of Facebook running and optimizing your ads you will have a very good idea which audience is the best performing. Then, move your budget to that audience, scale away and enjoy MUCH better results. Staying with the same Facebook Ad, these are the 5 different graphics I created for this campaign. Can you guess which one performed the best? Neither could I! That’s why it is important to include multiple graphics with each ad (you can use up to 6) and have Facebook do the split testing for you. The one on the top right hand corner came in at .84 per conversion while the one just left of it came in at a staggering $2.22 per conversion! 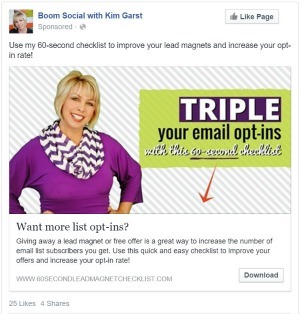 So those are the two reasons why your Facebook Ads are failing. Don’t get me wrong, if you have an over-priced or horrible offer and you use really bad graphics or write horrible copy, your Facebook Ad will still fail. I get to look at A LOT of Facebook Ads though, and that is typically NOT the case. Usually, the ad fails because it was placed in front of ONE audience, the wrong audience, and there was only ONE graphic, the wrong graphic used. 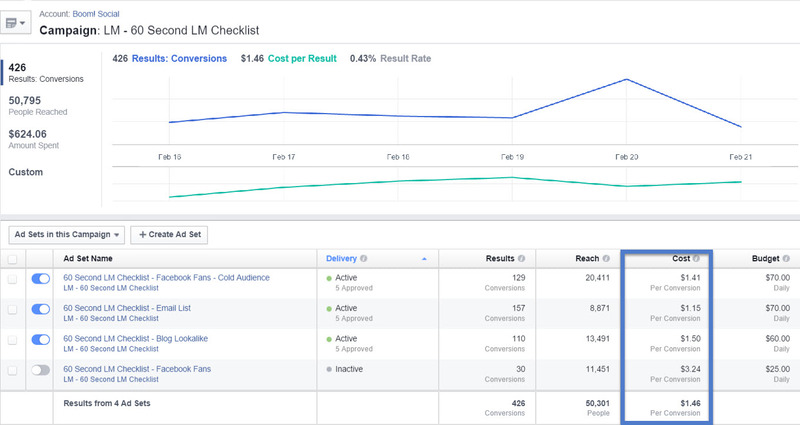 Increase the number of audiences you show your Facebook Ads to and the number of graphics you have Facebook split test for you and your results should definitely improve! What do you think? Have I convinced you that these might be two places to look to make improvements? I would love to hear your comments below. Very true, Kim. It’s important to include a blend of different elements in each Ad campaign. People sometimes underestimate how much time needs to go into making sure the audience sees each image variation, or each Ad copy variation to find out what combination makes the best performance. What would be interesting to see in your example above is, although your existing audience converted at a higher cost, it may be because existing fans have already seen so much of your work and might not need to recap on this particular topic right now. Over time, will the conversions from your existing audience end up producing more revenue per lead than the colder ones. Determining the right target audience is one of the most important things to consider when creating an ad. Diversifying the target audience minimizes doubts and helps advertisers discover the right segment that they should spend more budget on. Also choosing the right graphic increases the ad clicks. Using multiple graphics allows advertisers to determine which one is the most compelling and driving them more clicks.